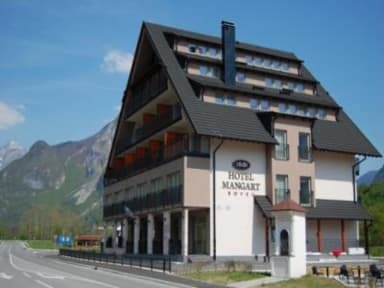 Hostel Mangart Bovec i Bovec, Slovenia: Bestill nå! All hostel rooms rates are 30,00 € per person incl. breakfast. Most of the rooms have a balcony or terrace, from where you can see the valley and wonderful Julian Alps. 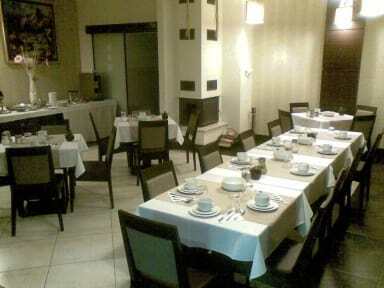 Buffet continental breakfast, towels and sheets are included in price. Hostel rooms have bathrooms with shower, cable tv, phone, air conditioning, Wi-fi internet access, hairdryer .. . everything guest needs to feel like home. We have 24 hour reception, but you MUST check in until 10 pm. In case your arrival is later, let us know as soon as possible, to make sure that bed will wait for you.